Our organically crafted Lavender Body Butter is an aromatic floral extract of the intoxicating Lavender (Lavandula angustifolia) flowers into our proprietary exotic butter base to produces a creamy, off-white, velvety butter with rich, exotic lavender scent and elegant skin feel. With this product we not only get the skincare and aromatherapeutic benefits of Lavender that produces soothing, calming, and near sedative effects, but we also get it in a luxurious, easy to use butter base that will add amazing skin feel to any emulsion or anhydrous formulation. Lavender Butter is a sublime choice promoting overall skin health and radiance. Lavender Butter aids in the skin's natural collagen production and can help protect and nourish the skin to prevent drying. It also helps prevent chapping and cracking and reduces the appearance of stretch marks and scars. It even promotes cell regeneration making this an excellent choice for mature, aging skin. Lavender is also known to have insect repellent properties making this butter a great addition to DIY, all-natural insect repellent products. 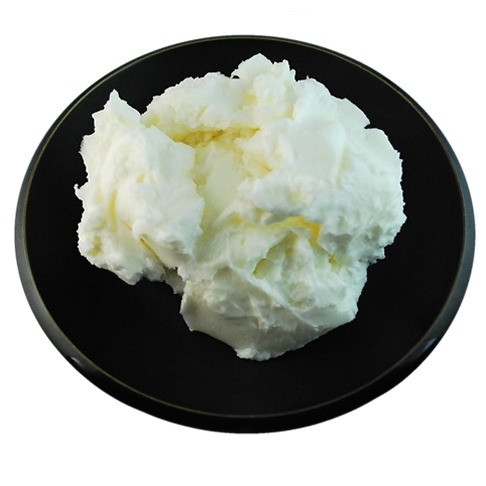 This butter exhibits excellent penetrating qualities and good spreadability on the skin, making it ideal as a massage butter or carrier for treatment products. The Lavender Oil is universally loved in aromatherapy, as it is so deeply calming and balancing to every aspect of the system encompassing body, mind, and spirit. Lavender Butter also has the same ability to significantly relieve stress and anxiety through aromatherapy.